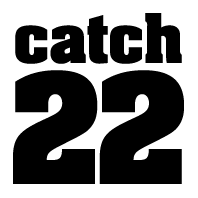 FACT22 (Part of Catch 22) aims to offer a holistic support service by using a ‘whole family’ approach in order to improve outcomes for children and young people aged 0-18 living in Coventry. This will then help in strengthening the family unit as a whole, instigate change and reduce factors contributing to risk and need. Volunteer mentors are matched with children and families with the purpose of facilitating personal development, developing social networks and motivating children and families to reach their goals and sustain positive change. Parent Mentor - Advice in many different roles including shopping on a budget, routines, parenting. Peer mentor: 16 - 21 year olds provide support and encouragement to children/young people eg through job coaching, sport coaching and signposting. Travel expenses are paid by the organisation. This is an external project Warwick Volunteers does not have any involvement with the management of these activities.